UC News Offer - Check-In & Win Prize of Mobile Recharges, Gift Vouchers and Opportunity to win Smartphones. UC News is back again with a wonderful deal where you will get the Opportunity to win Prizes. Just download the UC News App and check-in to applicable these benefits. No need to download anything. So Hurry up and Check-in Now and avail Free Vouchers & Mobile Recharges !! 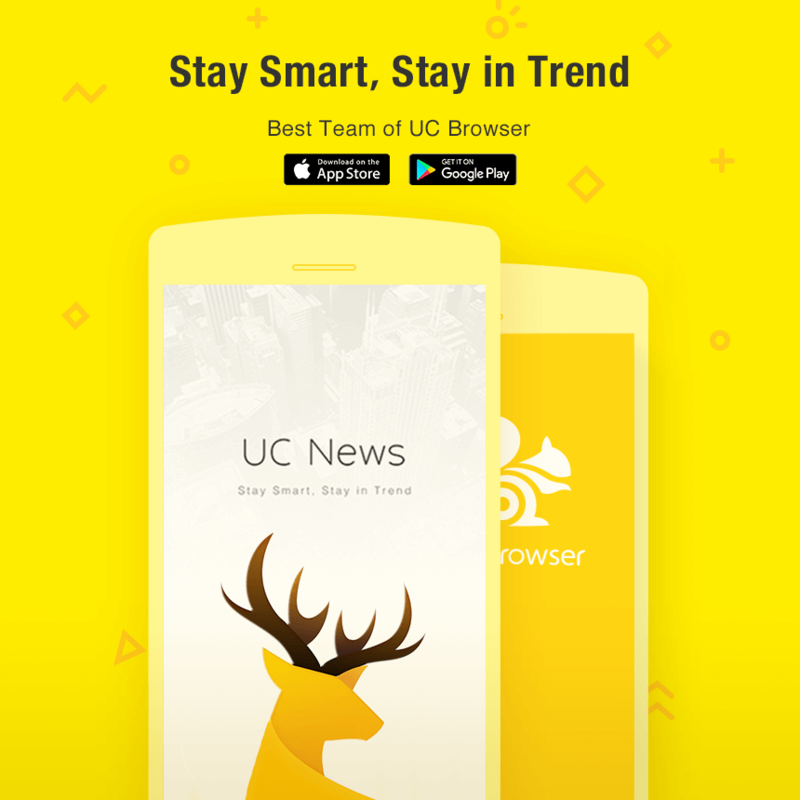 Install & Open UC News App. Goto “Me” >> Click on “Check-in & Win Prizes”. You can get MakeMeTrip Voucher today, And until 12th March you will get Many kinds of Prizes as specified below. So Hurry up and Check-in immediately. You'll Be Rewarded Mobile Credit worth Rs 10 on the First day. You'll Be Rewarded Mobile Credit worth Rs 50 on the Second day. You'll Be Rewarded Amazon Gift Voucher worth Rs 500 on the Third day. On the Fifth day, you'll get JBL T100A (Black) Wired Headphone with Mic. You'll be rewarded 20,000 mAh Powerbank on the 6th day. The Final Prize You can get is the Samsung On5(Gold, 8GB) Smartphone. Daily Check-In to win the corresponding prize. On the day you will not be present that day, you can lose to win those prizes. Other awards: Mobikwik, MakeMyTrip and Gaana coupons. To check your rewards, You can tap on "My Rewards" and will last on 14th March 2017. Uc will contact based on your relevant information will be utilized only for the awards. Those who have the right information, June 1, 2017, will be sent before the awards. Providing false information we reserve the right not to send the prizes. Valid period: 06/03/2017. - 2017.04.30 IST. For Mobikwik coupons, If You Add Money for the first time then you can get Rs 50 cashback. On MakeMyTrip Flight Booking, You can get Rs 750 Cashback. For Gaana Coupons, You'll be the premium member for whole 1 month and it's avail to only first 10,000 members. Each code submitted to Mobikwik, MakeMyTrip and Gaana song can be used only 1 time. The Code of Mobikwik, MakeMyTrip, and Gaana can be used both on the official websites of Mobikwik apps, MakeMyTrip and Gaana. During this campaign, please Do not uninstall UC Browser or UC News. If you will uninstall any app then UC is not responsible if you didn't win any prizes. If you have any questions or suggestions, please contact our Team of UC Browser or community, or you can also go to the Rules page write on "feedback". Unexpected factors or situations (eg natural disaster, the government laws, the system error, network-related problem) UCweb has right to apply the relevant laws and regulations is to advocate. Valid period: 06/03/2017. - 2018.01.16 IST. Who won the Amazon Vouchers can be only used on Amazon.in. If you have any questions or confusion, you can ask us by commenting on this post.